Be a Friend and Mentor to a Child with Autism! Volunteers accompany small groups of school-aged children with autism and their trained behavioral coaches on outings into the community. 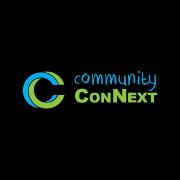 Community ConNext’s volunteering program exists to provide first-hand experience with and support to youth with autism, while serving as a positive role model and friend. The gift of your time, friendship, hard work and encouragement engenders a sense of self and community engagement in our program participants. As they become familiar with you and you with them, the opportunities to promote inclusion and friendship only deepen.